MAM members may log in (blue button at top of website) to activate this registration option. Includes lunch. Register BEFORE October 23 and save! Register BEFORE October 23 and save! Non-member price includes lunch and a $25 credit toward MAM membership! Includes lunch and a $25 credit toward MAM membership. Valid student ID required at registration. Please email cancellations to info@mainemuseums.org before October 13, 2017 to secure a full refund. Cancellations emailed to info@mainemuseums.org between October 13 and October 27, 2017 will receive a full refund, less a $25 administrative fee. Refunds will not be offered for cancellations on October 27 or later. Presented this year by our sponsor, the University of Maine Clement and Linda McGillicuddy Humanities Center, this conference offers a mixture of sessions, workshops, networking opportunities, and a dynamic keynote address that will leave you feeling recharged, connected, and inspired with new ideas to assist you in the care and management of your collecting institution. This year, the focus will be on Maine's upcoming bicentennial in 2020 and how your institution can be prepared for this once-in-a-lifetime celebration. Keynote speaker, Earle G. Shettleworth, Jr. The 2017 MAM conference will feature a dynamic keynote address from Earle G. Shettleworth, Jr. Shettleworth has lectured and written extensively on Maine history and architecture. He has served as Maine State Historian since 2004. The longest serving State Historic Preservation Director, he filled this role in Maine from 1976 until 2015. Shettleworth plans to present a lecture of images from Maine's centennial celebration in 1920. The conference will be held at Spann Student Commons at Thomas College at 180 West River Road in Waterville. Directions: From Interstate 95 exit 127 (formerly 33), go east on Kennedy Memorial Drive (Route 137). In approximately 1.5 miles, turn right onto West River Road (Route 104 South). 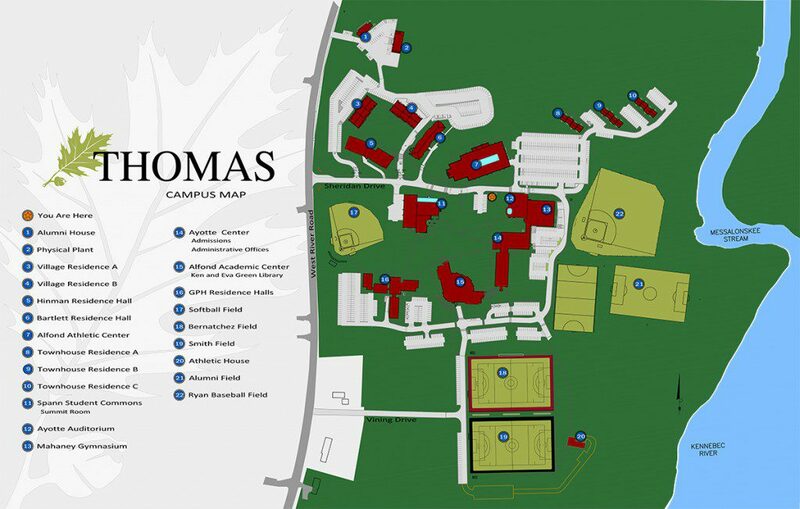 Thomas College is 1.5 miles on the left. Please follow these directions instead of those provided by your GPS for the best route to campus. Parking: We recommend you park cars behind the Alfond Athletic Center. Map: See the campus map and directions or print this campus map. MAM Members and non-members may register online through November 5. To register after November 5, please bring payment to the conference ($75 members; $100 non-members). And to our host sponsors! And thank you to our Silver Sponsors! Sponsoring and exhibiting at the Maine Archives & Museums Annual Conference are great ways to reach museum and archives professionals throughout Maine. See the link below for an outline of opportunities.